Information about Lion’s Head Height. How high is Lion’s Head? Lion’s Head height is 669 meters. The height measurement of Lion’s Head is taken above sea level. The elevation of Lion’s Head mountain is best for unhindered panoramic. The panoramic view on top of Lion’s Head from 669 meters is excellent. Hiking Lion’s Head does not feel like a 669 meter hike. The feeling of hiking Lion’s Head mountain is likened to an easy walk. However, there are a few exceptions to the feeling along your journey up Lion’s Head. Weather changes on Lion’s Head at different heights. The weather at different altitudes on Lion’s Head, changes with the elevation. The mountain has a height of 669 meters making it susceptible to more extreme weather changes. The mountain is unprotected by natural formations and the weather can sometimes be hard hitting. The most common type of weather change is the wind. After the wind, there is the temperature drop. Temperature and height changes on Lion’s Head. At night, the weather can change quickly on Lion’s Head. High winds and cold temperatures can change hiking conditions in a moment. That is why your hike time will depend on weather conditions and temperature. The average temperature is 2-3 degrees warmer in the city of Cape Town, than on the mountain. It can be even warmer in the city and colder on the mountain depending on the time of year and wind conditions. In general, dress warmer for later in the day or early in the morning. The peak temperature depends on the time of day but usually happens at the time of noon. Lion’s Head terrain changes with increased height. Weather and temperature are not the only things that change on Lion’s Head. The terrain is also a key consideration when making your way up Lion’s Head. Be prepared for a change in terrain with the increased height. The road to the top of Lion’s Head starts as a wide path which leads into a more narrow single track. The terrain on each part of the trail is different depending on how high up on Lion’s Head mountain you are. Want to get high up on Lion’s Head? 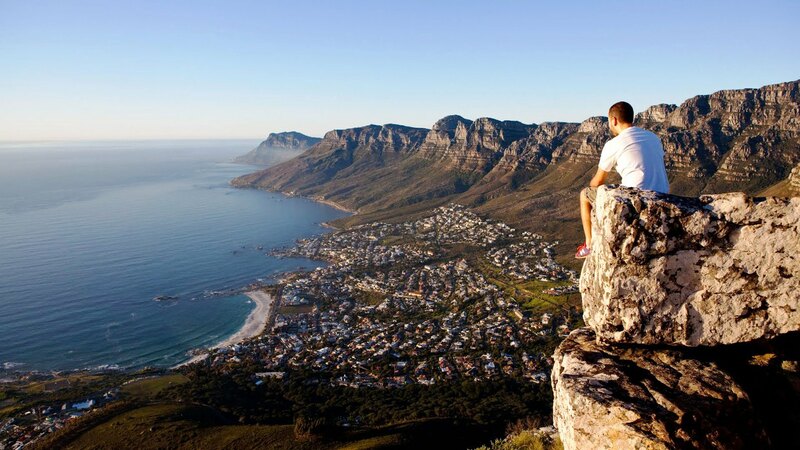 Book your hike up Lion’s Head and get high up on the mountain. With it’s an amazing views, professional advice and transport, a guided hike is well worth the money spent!